Ah, so many food adventures today!! First off, an edamame argula salad I made for my daddy and me for lunch today. Perfect tasting with a nice, simple vinegar dressing. And, it was full of colors from different vegetables – definitely got a nice balance of vitamins! Then, for a family barbecue tomorrow, I baked two delicious items – triple chocolate M&M brownies for the little ones and an organic, oil-free carrot cake for the adults. I used two recently discovered baking mixes and changed up the recipe depending on what I wanted! I talked to my parents about this cleanse and they recommended I start it once we are back from our trip so I guess I’m stopping after two days, unfortunately. In these two days, I felt pretty light-headed and weak so I guess it’s good that I don’t do it during our trip so I have energy for all of the traveling and adventures. I decided, however, that I would focus on a healthy diet that I would have achieved from this challenge anyhow – no processed food or added sugars, no corn, etc. the list goes on. 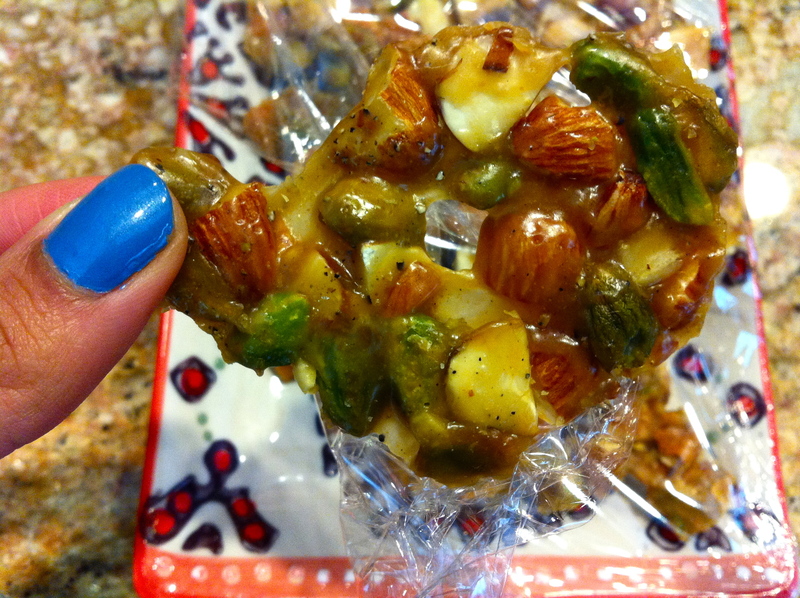 I’m going to focus on whole grains, vegetables, fruits, and nuts/seeds. Let’s see how it goes! Thanks for all of the support thus far and sorry to those of you who were following my challenge – it’ll be coming shortly! Hey readers! For the next 28 days, I’m committing to a 28-Day Cleansing Mind & Body Diet. It’s going to be hard, no doubt, but I’m hoping it will help me change the way I think about food and mentally feel about life in general so I can be prepared to take on my second year of college with less stress and pressure, which we all know is not good for our health. I also wanted to try to curb my cravings for certain foods that I know I won’t have access to in college or will have too much access to (such as desserts, chocolate, cakes, certain cookies, certain juices and fruits). I was hoping to use this cleansing diet as a way to change my staple, daily diet. Most diet plans and detox plans are crazy, no joke. They take you on a yo-yo diet where you drop 7 – 10 pounds of water weight, but gain it all back when you start eating normal. Therefore, I’ve been doing a lot of research on healthy ways to diet and detox as a vegetarian and/or vegan. And, from all the reading, I decided to combine different detox plans to make my own! I based mine mostly around Whole Living’s 28 Day Mind & Body Challenge because I really liked what the purpose of their detox was – it aligned with what I wanted just right. What I tweaked was basically the first week of the detox plan since I wanted to also try to incorporate trying a raw vegan diet during this plan. My goal is to keep you all updated with what I eat and drink daily, how I feel and how the detox is working/not working, in addition to any recipes or dishes I make for friends and family. 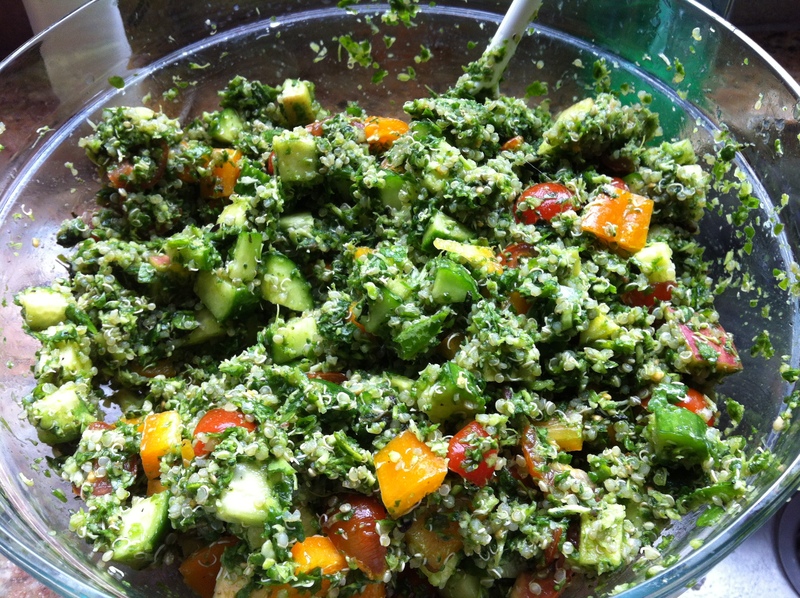 So, hopefully, some of my daily recipes will inspire you to try a cleanse out! 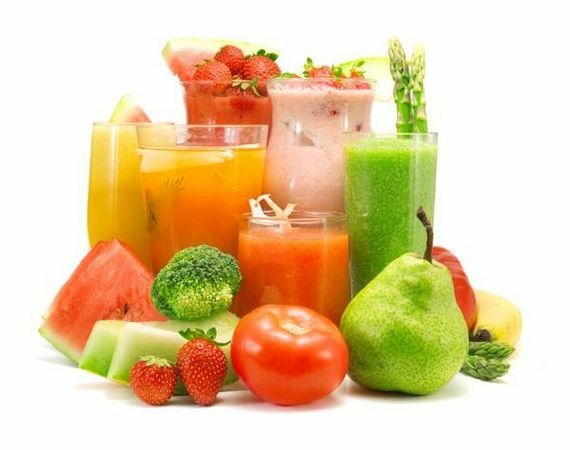 Cleansing/detox diets and plans are healthy for you in terms of flushing out excess toxins or just feeling more clean, but I highly don’t recommend insane detox diets for long periods of time because (1) it will become a yo-yo effect, (2) you will feel really ill, weak, and sick and (3) your body already naturally detoxes toxins so you don’t need a crazy detox plan – all you want is a simply jumpstart to a healthy eating lifestyle! This is the plan I came up with. I’m starting today so look out for what I eat and make during the day when I update the blog every evening! Wish me luck!! I’d love to hear if any of you have ever done something similar to this since this is going to be my first time! Living in a dorm is awesome except for one little downside: the school dining hall tends to serve the same food everyday and it often gets boring for those who are vegans and vegetarians because we seem to eat the same or similar thing over and over again. Well, thankfully, I lived in a dorm that had a small kitchen so I spend some time cooking my meals with my roommate and/or friends. You cannot even imagine the amount of food shopping I do. My all time favorite grocery story is Trader Joe’s and whenever I go there, you can only imagine how much food I bring back from home for my dorm room kitchen! Anyway, I was going through some old photos and found some of the meals we made together. So, I thought it would be a good idea to share some of my favorite recipes from this past year! I’m just starting a list below and will continue to add to it as I start finding more pictures and going through my old recipes 🙂 Let me know your favorites! Sprouting lentils and beans can be a bit time-consuming, but I’m going to show you an easy way to do so. Sprouted lentils and beans are considered to be a very healthy choice for both protein and carbohydrates in vegan and vegetarian diets. Once sprouted, they can be used for raw salads, batters, stirfrys, and even soups. 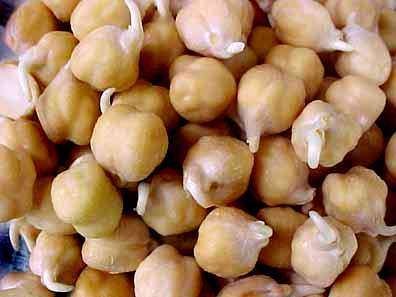 Eating sprouted lentils and beans versus the whole lentil and bean has been proven through research to be more beneficial. 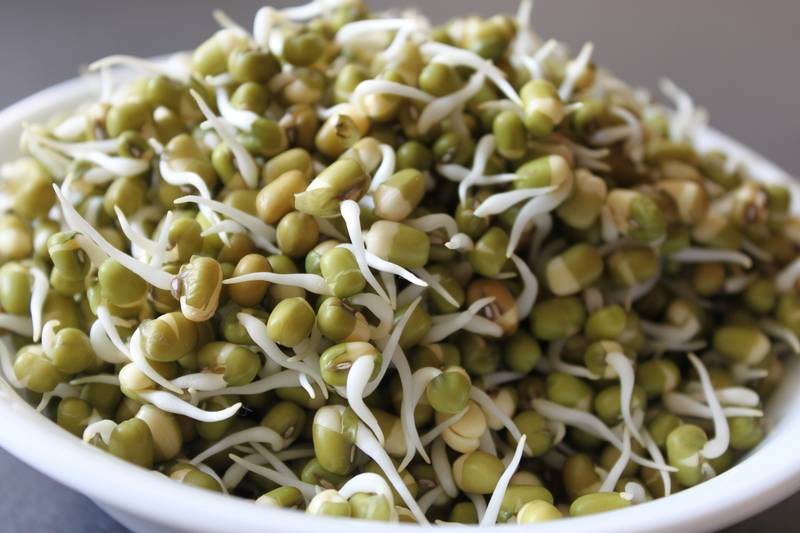 In fact, many researchers say that sprouts are richer in digestible energy, vitamins, antioxidants, amino acids (proteins), and minerals in general. It has also been said that sprouts have an increased fibre content, making them an all-around stable food for vegans and vegetarians. 1. Soak your choice of dry lentil or bean in twice the amount of water for 8-12 hours. I usually soak them overnight. Make sure you cover the lentils or beans with either a dish or soak them inside a airtight container. 2. After 8-12 hours, you will see that the lentils or beans have grown in size since they have absorbed some of the water. Drain the remaining water from the container. Look for lentils or beans near the bottom of the container that have not grown in size and remove them since they won’t sprout (the reason this happens is because you have a high quantity of lentils or beans soaking and the water will reach the top most layers first). 3. Make sure there is no remaining water in the container (I use a strainer and place the strainer with the lentils or beans on top of a bowl so any excess water is easily captured). 4. Place the lentils or beans into a warm area, covered once again with a dish or in a container. Let them sit for about 24 hours, sometimes more depending on how warm the environment is. 5. By now, you should see the sprouts. You can let them sit for several more hours if you wish to have more sprouts. 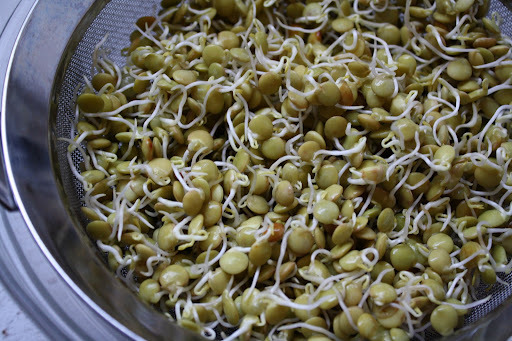 Once you are content with your sprouts, remove them from their container or bowl and rinse thoroughly. 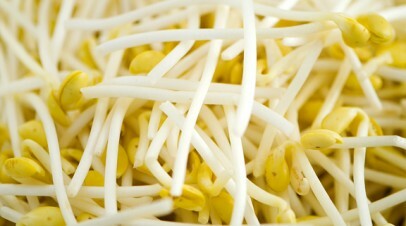 When rinsing, look for any sprouts that feel really sticky and remove them. These should be thrown away. 6. If you plan to use the sprouts right away, go for it! If not, lay them out on a large paper towel or dish towel on the kitchen counter for a few hours till they are completely dried. 7. Once they are dry, you can store them in the fridge for about a week until you are prepared to use them. When storing, make sure you use an airtight container (I use reusable plastic containers). Lay a paper towel on the bottom of the container, then pour in your spouters, and finally cover the top with another paper towel before closing the container. “Wrapping” them in paper towels helps to keep the sprouts fresh.